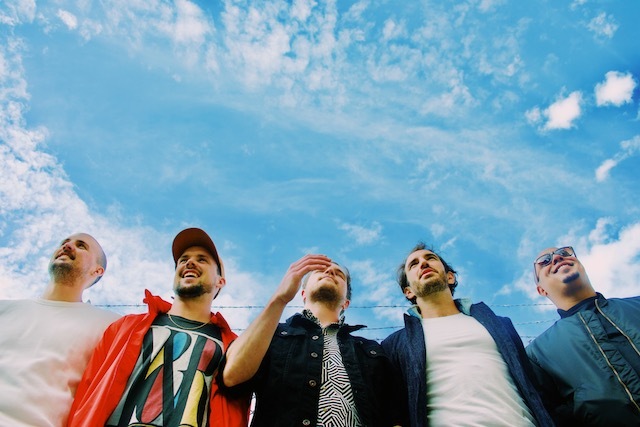 Celebrated local indie soul band from Vancouver, The Boom Booms, are bringing their storytelling and funky, soulful dance music to The ACT Arts Centre in Maple Ridge on March 16th. Award-winning bandmates and childhood neighbours, Sean Ross (keyboard), Aaron Ross (lead vocals), Theo Vincent (drums), Tom Van Deursen (guitar), and Geordie Hart (bass) have spent the last decade touring the world from Vancouver to Panama, recording three albums (Hot Rum, Love is Overdue, A Million Miles) and filming their socially-charged documentary, Boom Boom Brazil. Tickets: Available online now for $22-32, or call (604) 476-2787 or visit the ACT Ticket Centre in-person at 11944 Haney Place. Their debut album ‘Hot Rum’, written on their inaugural tour from Vancouver to Panama, garnered a dedicated fan base spanning continents and generations. Their sophomore album ‘Love is Overdue’ is produced by Grammy-award winner Chin Injeti, and draws on more soulful influences. The band spent three months in Brazil shooting their socially charged documentary, “Boom Boom Brazil”. They were winners of BC’s prestigious Peak Performance Project and The Georgia Straight readers voted The Boom Booms as Best Unsigned Band in Vancouver five times. In 2015 the band sold out Vancouver’s renowned concert venue, The Commodore Ballroom. The Boom Booms released their third album, A Million Miles, in September 2017. Get your tickets today to see them in Maple Ridge and follow The ACT Arts Centre on Twitter, Facebook, and Instagram for more info.